The All Saints Show have published an audio recording of last Monday's very successful talk on the early years of our club by Dermot Looney. It includes antecedents to St Pat's, the founding of the club, and the team's meteoric rise through junior football and into the League of Ireland, which they won at the first attempt in 1951/52. It's well worth the listen! 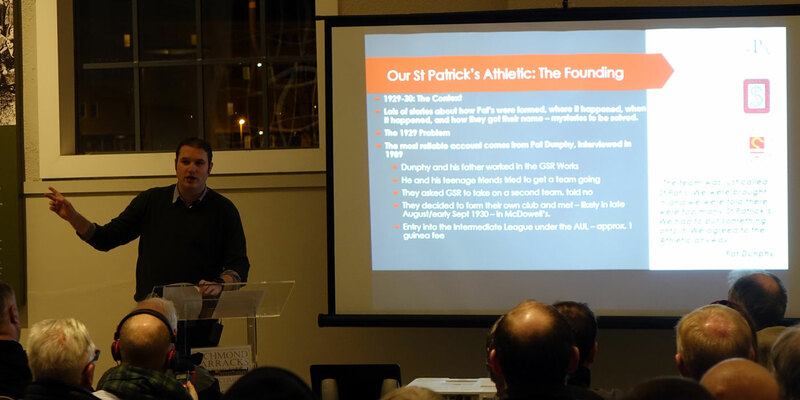 This is an audio recording of the lecture by @dlooney in @RichBarracks about the early history of @stpatsfc - a must for all Saints fans!